Earth Sanctuary uses the secrets of sacred space to engage visitor’s extrasensory perceptions to evoke experiences of peacefulness and heightened insights. 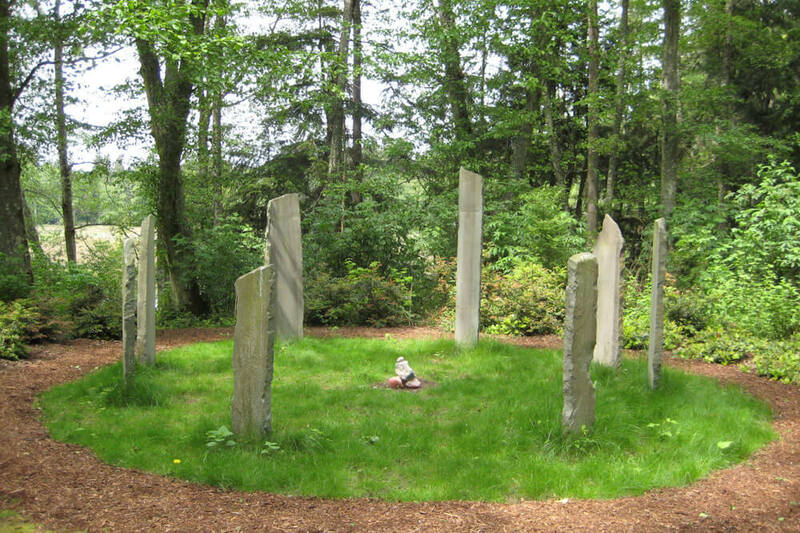 The Cottonwood Stone Circle at Earth Sanctuary is 40 feet in diameter, with an outer circle of 12 standing stones 11 feet high. Within the circle are three tall Columbia River basalt columns, plus a number of seating stones and a ceremonial fire pit. A line of standing stones form on the West and East and two outlier stones dramatize the North-South orientation of the stone circle. The Fen Pond Stone Circle, measures 16 feet in diameter and is made of standing stones up to seven feet high. The four pairs of stones in the Fen Stone Circle are aligned with true North-South, the Summer Solstice sunrise and sunset, and the Winter Solstice sunset. Labyrinths are considered symbols of pilgrimage and a metaphor for life’s journey. 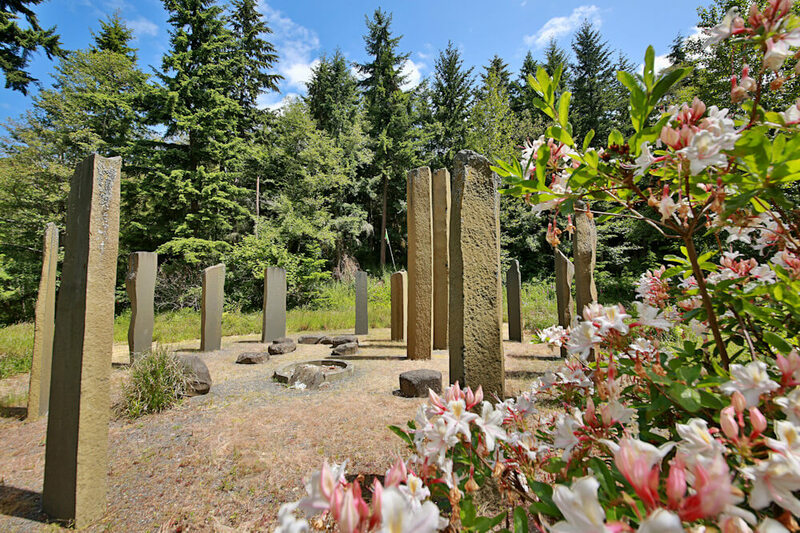 The labyrinth at Earth Sanctuary is drawn from ancient labyrinth designs and consists of a Pennsylvania Bluestone path with a Salal hedge. 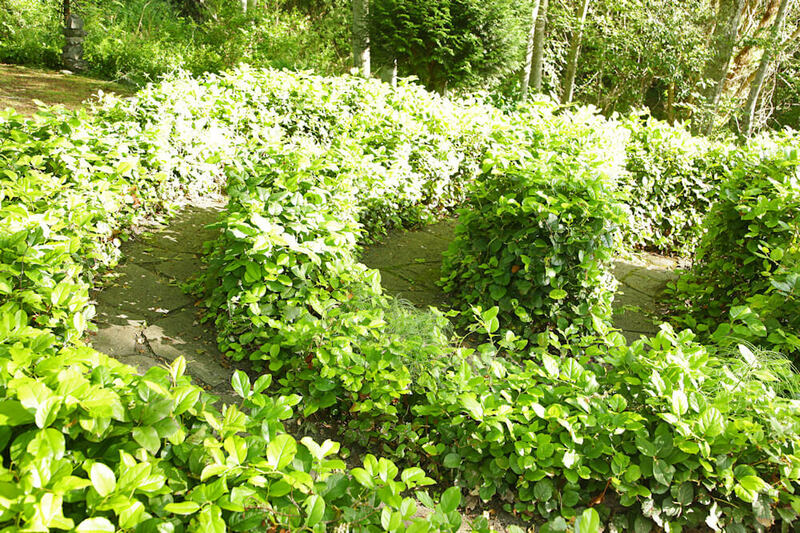 The patterns of the hedge labyrinth at Earth Sanctuary form a path for contemplation, mindfulness and meditation. 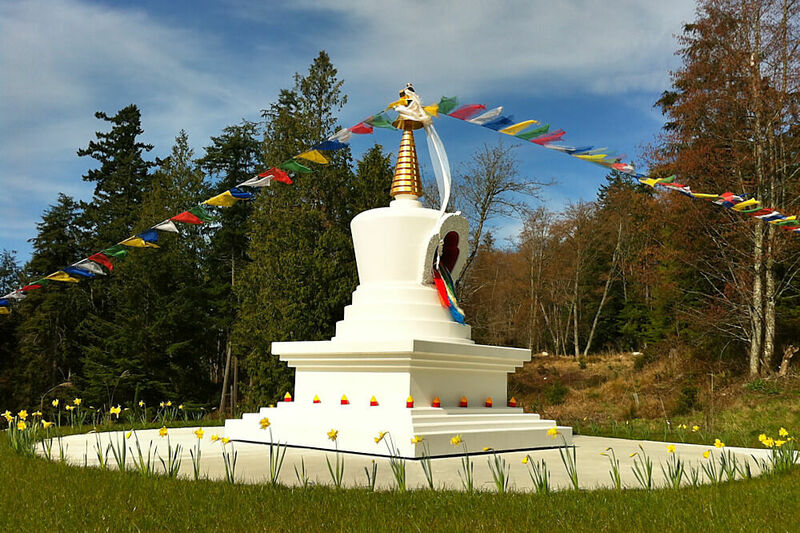 Experience Buddhist traditions of healing and enlightenment at the Buddhist Stupa monument, high on a hillside at Earth Sanctuary. The stupa is the most important Buddhist monument and sacred structure designed to bring peace and healing. The Grey Whale Medicine Wheel is a shrine and beacon of song for whales. 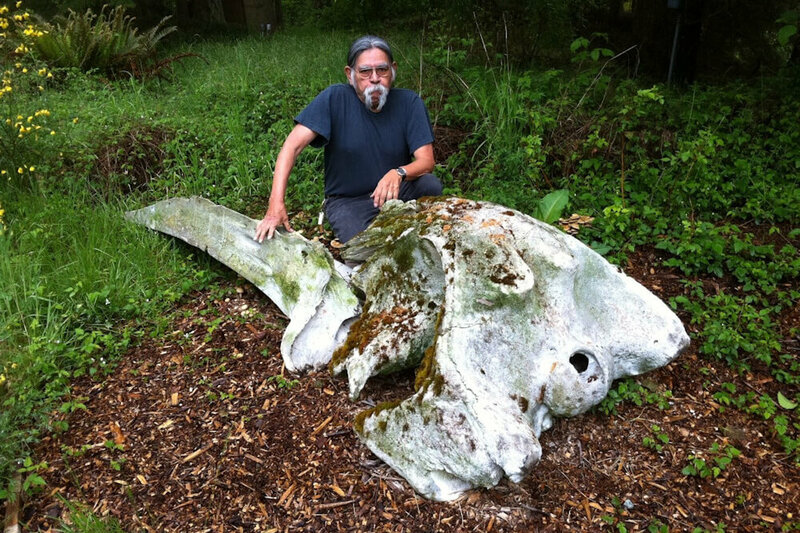 It features a real baby Gray Whale skull. Both Medicine Wheels were created and blessed in ceremony by Klaw-osht, a Shaman of the Nuu-chan-nulth tribe from Vancouver Island. The Infinite Tower artwork connects heaven and earth at Earth Sanctuary. 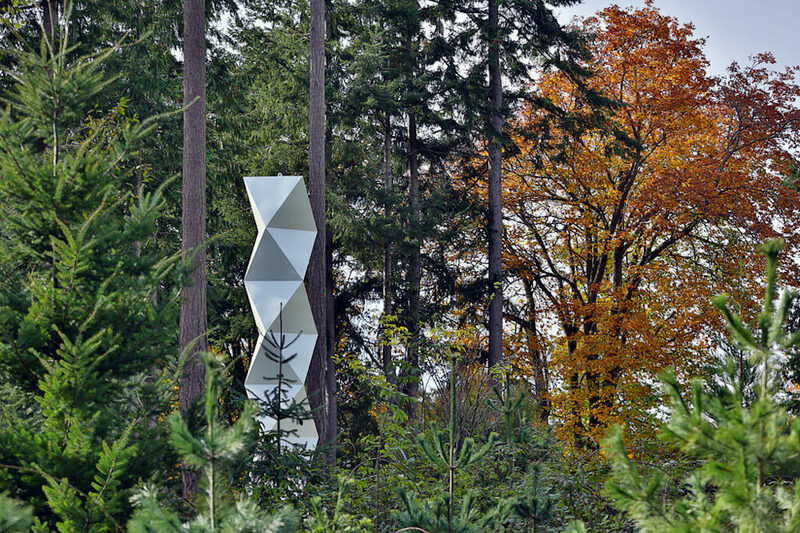 Created by Chuck Pettis, the 24-foot column of interlocking equilateral triangles creates a deceptively fluid visual effect. The symbolism within the design includes: creating a connection to earth and sky, the use of white as the color of clarity and purity (which reflects shadows and shapes on the sculpture), the honoring of the nearby trees and snags which join the earth and sky, and the incorporation of the number eight (eight triangles in each octahedron) and the number seven (seven stacked octahedrons), which in numerology symbolizes harmony and spirituality. A dolmen is a megalith of upright stones supporting a large horizontal slab. 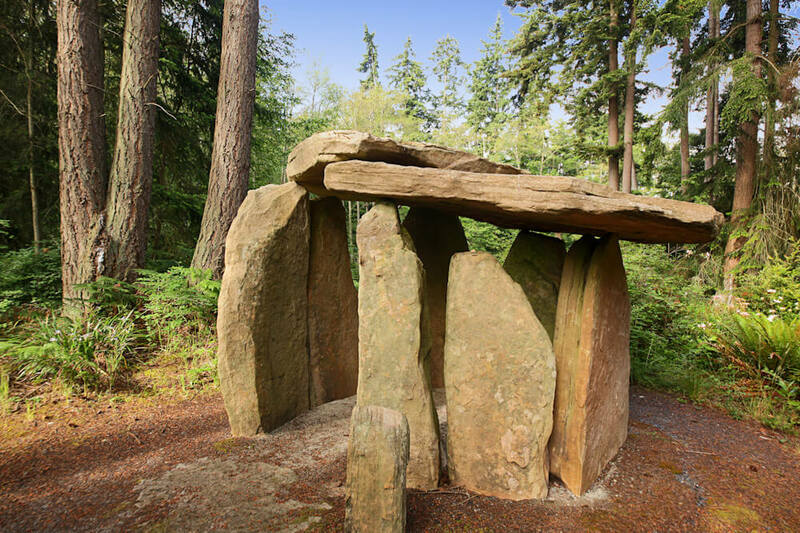 Inspired by a dolmen at Carnac, France, the 20-ton Dolmen at Earth Sanctuary is the first dolmen to be built in the U.S. during modern times. It serves as a place for meditation and reflection where visitors can center themselves and discover an intense, unmistakable connection with the earth. Veils of Reality is a modern minimalist outdoor landscape sculpture crafted from a sacred steel object previously used in a Tibetan Buddhist ceremony and multi-layered fabric. 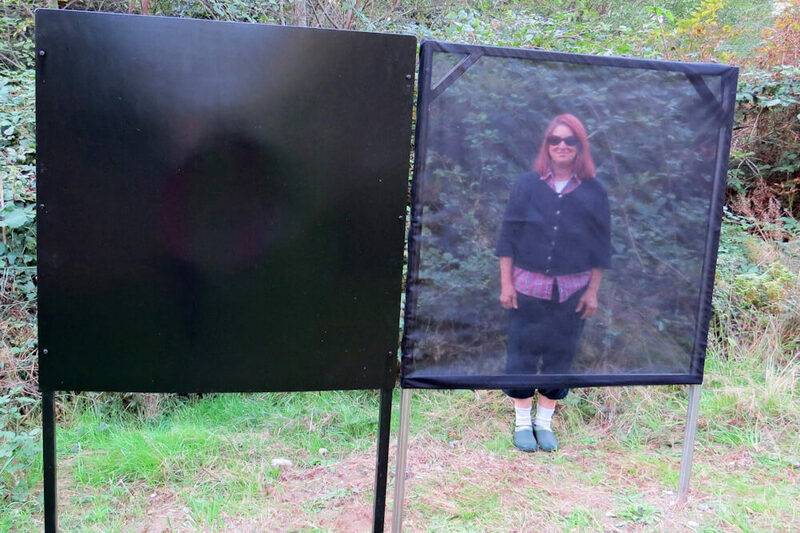 This reclaimed and transformed mirror-like art piece represents the balancing force of opposites and allows visitors to see themselves in a new light. 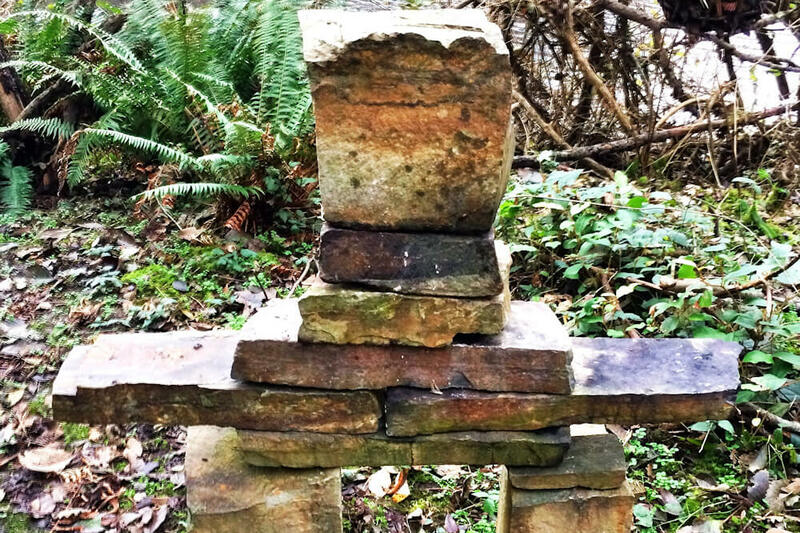 Earth Sanctuary features numerous artworks made of natural materials, including stacked stones or cairns, made from a variety of stones including crystals. Cairns are traditionally used to mark holy sites or routes. Earth Sanctuary also has two Tibet Tech prayer wheels. 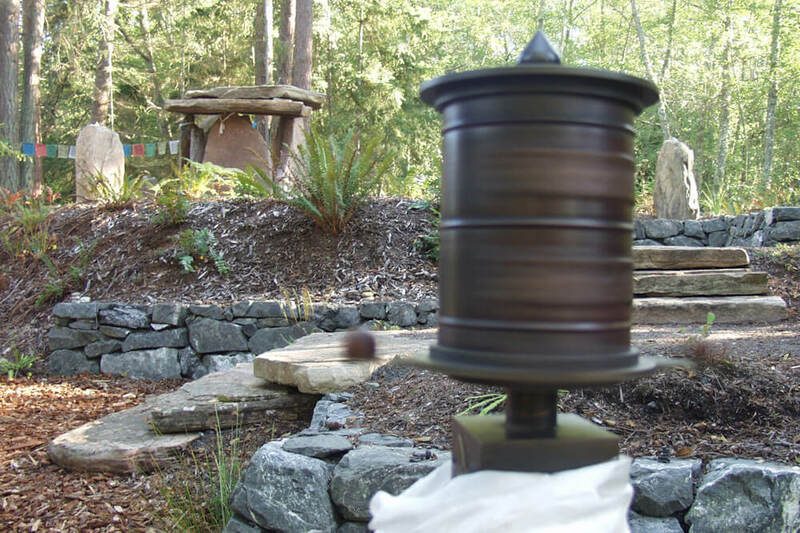 Buddhists believe that mindfully turning a prayer wheel produces the same benefits as having recited the number of prayers inside the prayer wheel multiplied by how many times the prayer wheel spins around. Each revolution of the Tibet Tech prayer wheels at Earth Sanctuary releases more than 1.3 trillion prayers. 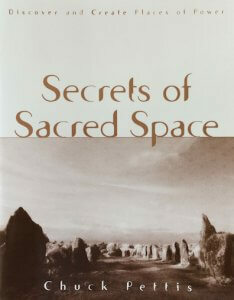 Secrets of Sacred Space, by Earth Sanctuary owner and founder Chuck Pettis, offers unprecedented resources and information on the art, science, and spirituality inherent in Earth Sanctuary’s sacred places of power. 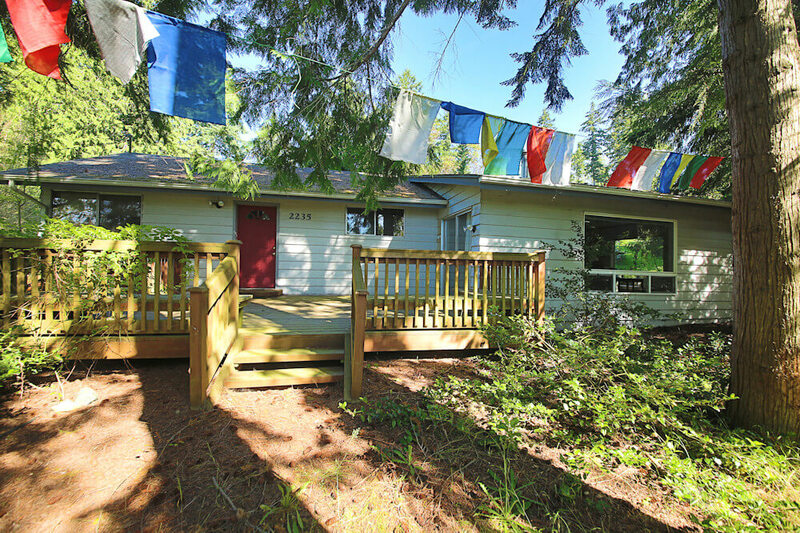 The Earth Sanctuary Retreat Center is available for overnight stays for 1-6 people and for day retreats for groups up to 20 people.